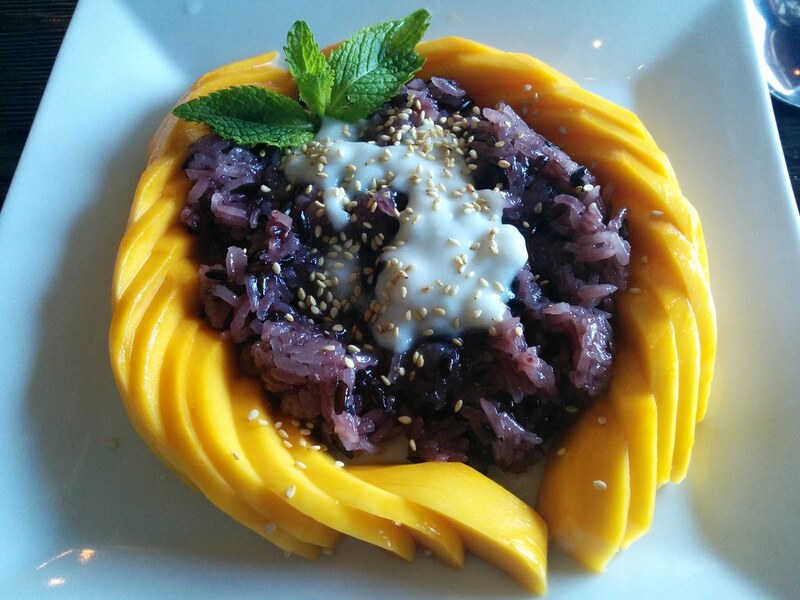 Wat Moon Dong Lek in Silverlake has some of my favorite Thai dishes done very well, so I like to keep coming back there when I can. It's a voluminous menu that expanded in the past year or so, so I wanted to share some of my personal faves. 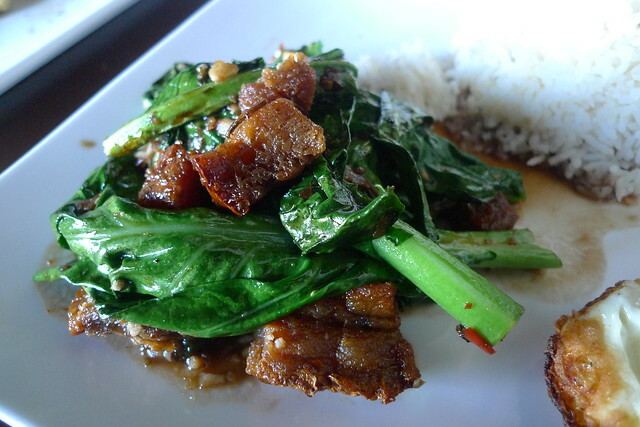 crispy pork belly -- This dish features big hunks of fried pork belly tossed with greens and served with white rice. Of course I like to add a fried egg to my order. 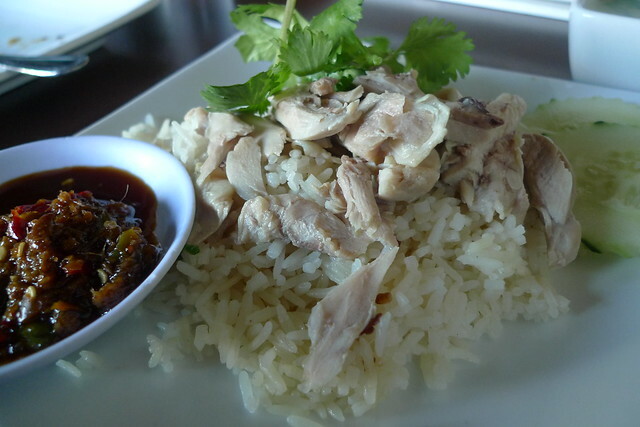 Thai-style Hainanese chicken rice -- Look, I don't want to travel to Alhambra to wait at Savoy for a dish that should damn well be commoditized by now. 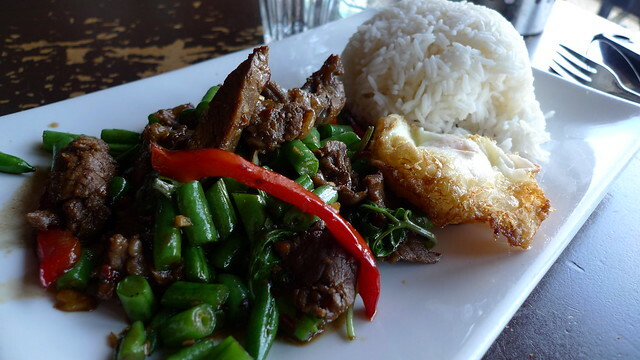 braised beef with spicy basil -- This is yet another white rice dish that I like served with a fried egg. 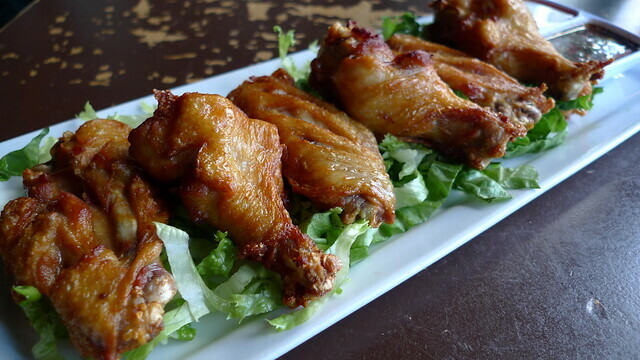 Isaan wings -- These are for when I want to mix it up and start with wings instead of the Isaan sausage, another favorite. sauteed blue crab in curry sauce -- This was the reason that I wanted to wax ecstatic about WMDL. 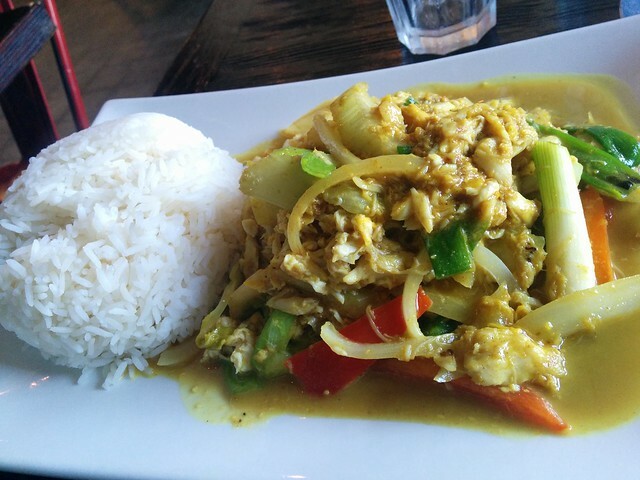 Stir-fried crab curry is one of my favorite Thai dishes and they do a great rendition. mango sticky rice -- Hey, you gotta balance out all that heat somehow. The menu at Wat Moon Dong Lek features many of my favorite Thai dishes.